Every month we feature five of the past month’s bird sightings as suggested by our experts. Here are a few remarkable observations from September. 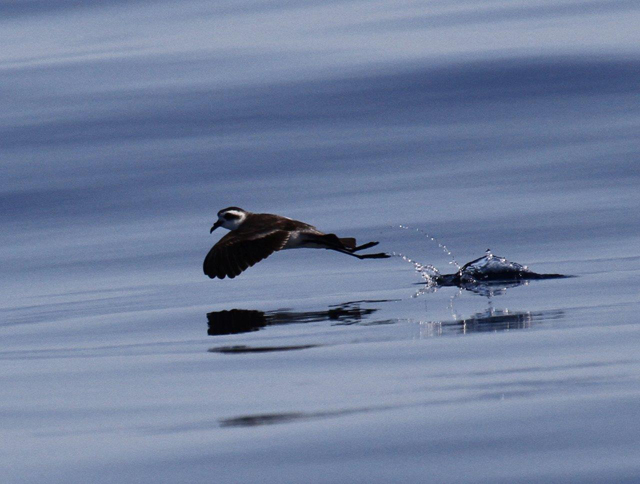 This small seabird bird often hovers low over the surface of the water, searching for food by gliding back and forth and bouncing along on its feet (see an amazing video). It nests on small islands in parts of the Atlantic, Indian, and South Pacific oceans, but otherwise spends all its time far out at sea. 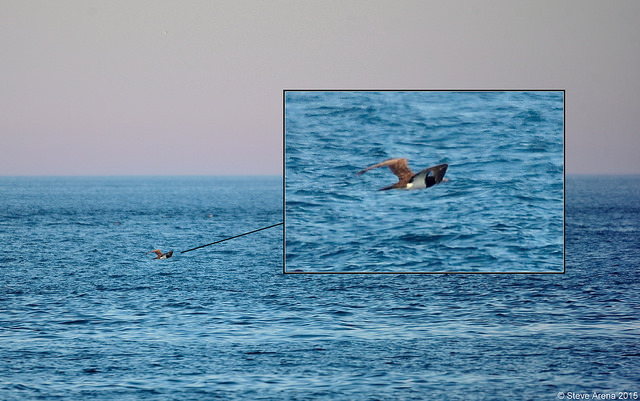 Several birds were seen at sea far off of Martha’s Vineyard this past month. Here’s a truly odd sighting: a young brown pelican was found under a truck in Southboro. It was malnourished and unfortunately passed away at Tufts Wildlife Clinic. These birds are typically found farther south, and are very rarely seen so far inland; perhaps a storm or illness caused this individual to become disoriented. Though the pelican’s death is a sad event, its appearance is intriguing. 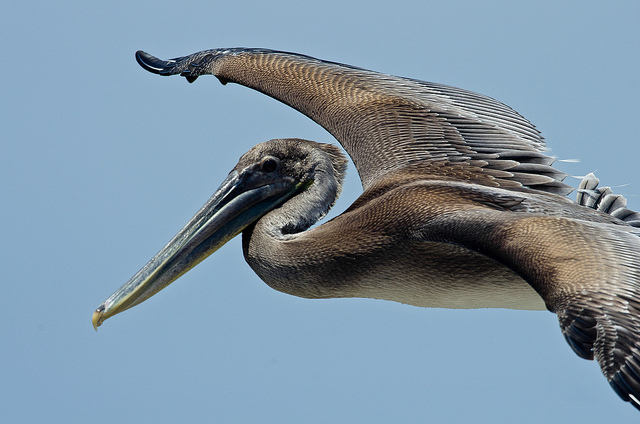 Brown pelicans were once almost eliminated from North America due to the pesticide DDT. However, they’ve made an incredible comeback. They are still an unusual sight in Massachusetts, although they have become increasingly common in recent years as far north as New Jersey. John James Audubon named the Bell’s vireo after the gifted taxidermist John Graham Bell who accompanied him on his trip up the Missouri River. In the US, this olive-gray songbird is typically found in the central and southeastern parts of the country. Interestingly, individuals tend to be more yellow in the eastern parts of the species’ range and grayer in the west. 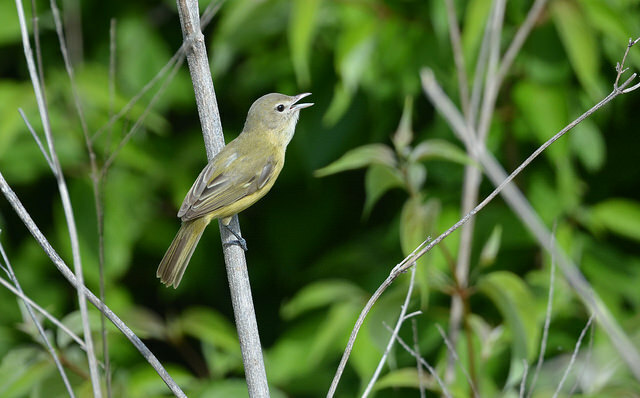 A bird observed and photographed in Newbury was one of very few records for Massachusetts. Related to the northern gannet, this large bird is found in many tropical oceans where one of its preferred foods is flying fish. It currently does not breed on the US mainland. Nonetheless, there were several sightings off of Provincetown this late summer and right up through the month of September. Brown boobies have long, pointed beaks for capturing fish, and adults have bright yellow feet that play a key role in their their courtship display. 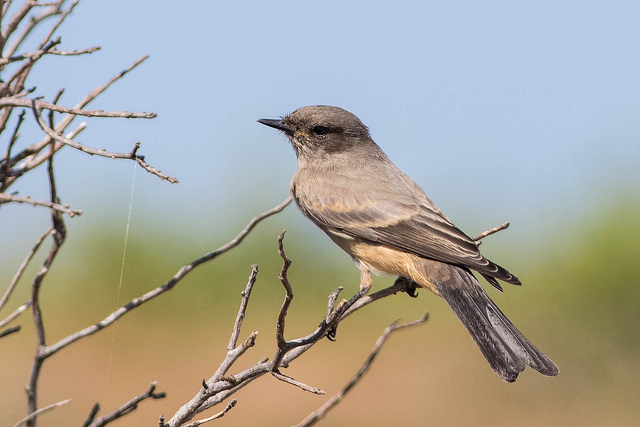 The Say’s phoebe inhabits open, arid regions and is seldom found in deep forest. It is a true bird of the west, where it breeds all the way from Alaska south to the Mexican border. During fall migration, however, a few birds often go astray and wander east as far as Massachusetts. Last month an individual was spotted on the island of Nantucket. This entry was posted in Nature Notes and tagged bird sightings, last month in birding on October 7, 2015 by Rosemary. An amazing sighting on the afternoon of Saturday October 3: at least 5,000 (five thousand!!) Tree Swallows were swirling in the gale force winds over the salt marsh at Sandy Neck Beach on Cape Cod (Barnstable). I have a few photos, but they hardly do the sight justice.